7:45 p.m. – 9:15 p.m. Families Anonymous is a group of concerned relatives and friends whose lives have been adversely affected by a loved one’s addiction to alcohol, drugs, or related behavioral problems. All who have experienced the effects of a loved one’s addiction are welcome. 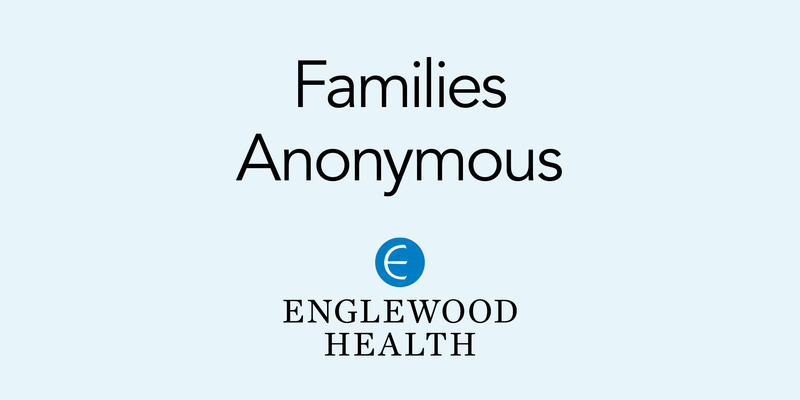 The group meets at Englewood Health’s main campus every Friday from 7:45 p.m. until 9:15 p.m. on the 5th floor in room #5503. For more information call Connie at 201-747-1153 or email FridayFA@aol.com.